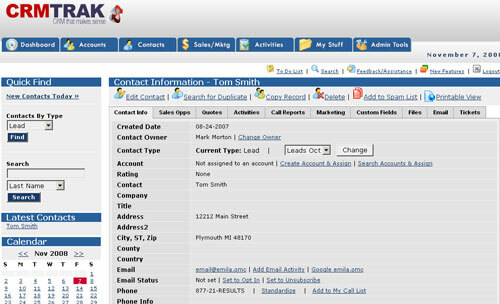 If you need to track sales leads from creation to close, CRMTrak is a great option. You can automatically capture leads from your website or enter them directly into CRMTrak. Leads can be reassigned to team members for follow-up activities.